Oct 11 Best fall destinations to hammock camp in each of the 50 states. Before you camp, make sure to check these 5 important tips for hammock camping in parks. Eklutna is in bear country so please be bear aware and help keep the sites clean. There are lots of activities available–bring your bikes kayaks, hiking gear or geocaching equipment! Consistently rated as two of the best campsites on the West Coast, grab 'em quick! Tall pines and cold river water, Housatonic Meadow Campground offers 95 sites in a rustic setting near the Housatonic River. Camping season is mid-April to December 31st. Reserve a spot and make sure you're prepped with the right gear. Trees and more trees. Killens Pond is a quiet resting place, tucked beneath the hardwood forest, overlooking a 66 acre millpond. Open year round with 59 campsites–grab a kayak for water exploration, and be ready for epic sunrise views from your hammock! Swing by Juniper Springs recreation area–Constructed in the 1930s by the Civilian Conservation Corps (CCC). Juniper Springs boasts a dense canopy of beautiful palms and oaks. The park has guided cave tours, bike rentals, and a disc golf course. Hike one of the multiple waterfall trails for a beautiful view and great place to hang. Plenty of water-based activities, hiking, biking and camping opportunities! Check out the backcountry options to hang somewhere off the beaten path. Packing list: kayak, fishing pole, hammock. And go! 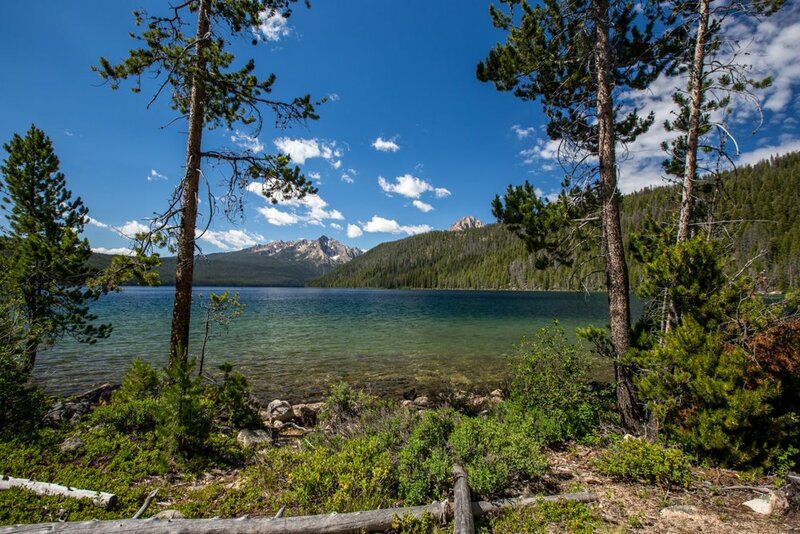 Hike and backpack galore around the Ruby Crest national recreation trail, offering five national forest campgrounds and unlimited primitive sites. Move quick, this area closes for winter months. Utilize this gazebo or the surrounding trees to hang dozens of hammocks, this is a spot to bring your crew! With a stove and picnic tables, it's #CampKammok ready. This wooded area with nearly sixty camp sites is available year round. Drinking water available. Tip: one of the best places for stargazing on the eastern seaboard due to exceptionally dark skies. Fires allowed, portable water available, pets welcome. Enjoy biking, fishing, boating, paddling, hiking, swimming, climbing, hammocking, and more. Backpack in to "the Barn," a well-known spot amongst hikers along the AT and throughout Tennessee. Park your hammock along the trail, and enjoy stunning views of Autumn foliage, and visit with hikers in the barn before hitting the hay. This campground boasts a hammock camping structure specifically for hanging hammocks. If you're new to the hammock camp game, or worried about finding the right trees, this is your spot. Hammocks available for rent, more information here. This primitive Lake Michigan island is accessible by two ferry rides from Wisconsin to Washington Island, then into the park. Check ferry open times and dates, drinking water is available on the island but there is no camp store. Oct 2 Mosquitos? We love 'em. Jun 30 Imagine a world of camping off the ground. Jul 11 Your guide to hammock safety.